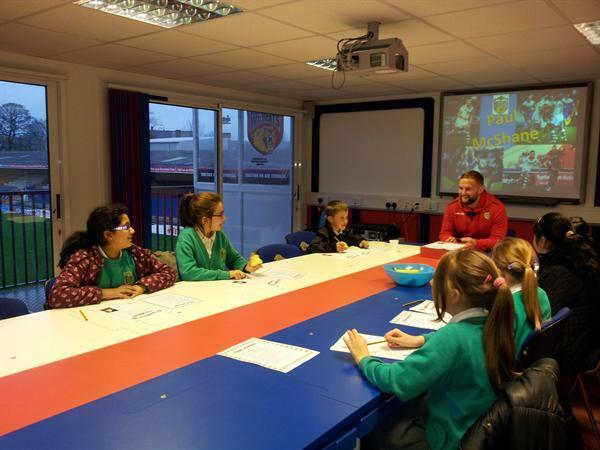 Year 5 children have been attending special sessions at the Wakefield Wildcats' stadium. This week they interviewed first team player, Paul McShane. 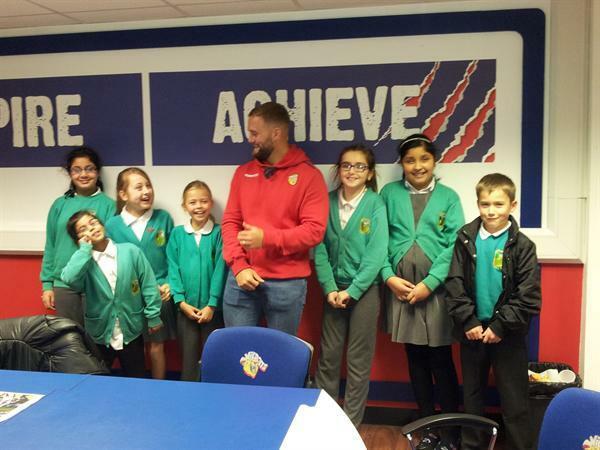 They asked lots of questions for their project on player interviews.